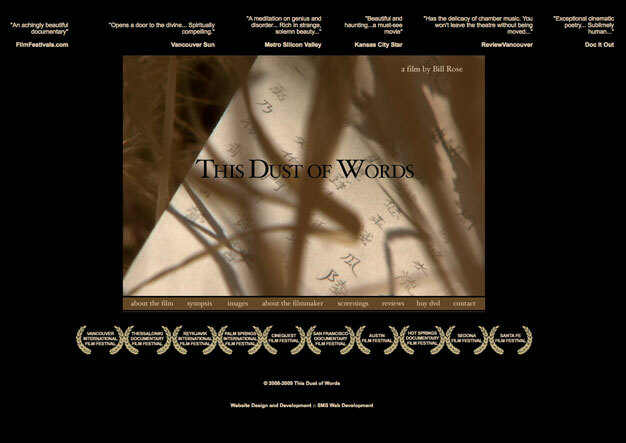 sms web development designed and built the website for “This Dust of Words”, an independent film. This site promotes the second documentary by SF Bay Area filmmaker Bill Rose. This site gives background on the film, announces upcoming screenings, provides the media with downloadable photos for print, and lists film reviews. 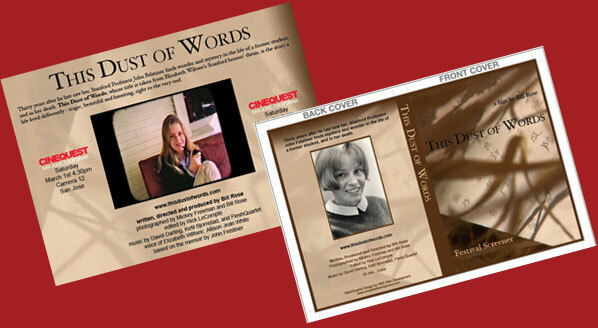 Additionally, we were enlisted to design items for print including the DVD cover and festival promo cards.